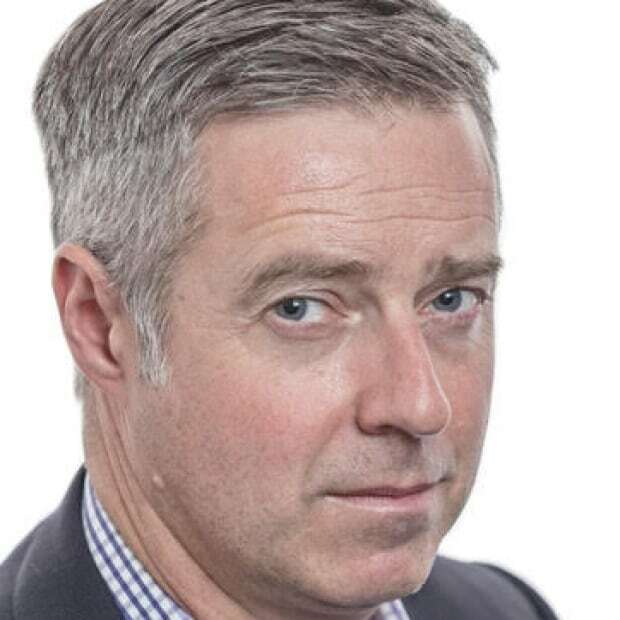 A closer look at the day's most notable stories with The National's Jonathon Gatehouse: health experts struggle to contain Ebola outbreak; the intense celebrity showdown between Taylor Swift and Kanye West turns political; experts answer questions about cannabis legalization plan. Health workers fear an Ebola outbreak in the Democratic Republic of Congo is at risk of spiralling out of control. The intense celebrity showdown between Taylor Swift and Kanye West has turned political. Got questions about the cannabis legalization plan? We're taking questions from Canadians to the experts. 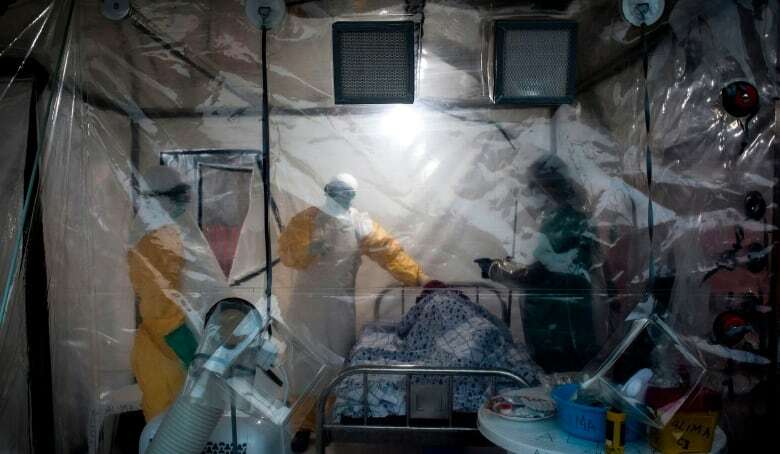 The latest Ebola outbreak in the Democratic Republic of Congo is at risk of spiralling out of control, as health workers try to contend with both armed insurgents and hostile locals. 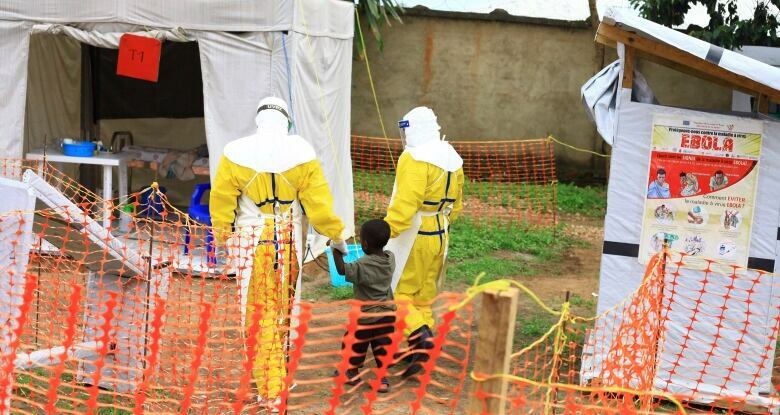 The latest World Health Organization figures, released this morning in Geneva, tally 200 cases and 125 deaths since this outbreak in north-eastern DRC began Aug. 1. That was just a week after the previous cluster of infections in the western part of the country had finally been declared vanquished. The most pressing worry is that the rate of new, confirmed and suspected cases has more than doubled over the past month. It's a clear indication that efforts to contain the spread of the virus are failing, particularly in the city of Beni, the epicentre of the new outbreak. "Insecurity that has increased in the city is one of the reasons why we are seeing these new cases coming up," Tarik Jasarevic, a WHO spokesman, told reporters. "On a daily basis, we can't go for a couple of hours to some areas because there is either a shooting going on, or there is a protest." Beni, in North Kivu province along the border with Rwanda and Uganda, is home to 1.3 million people and smack in the middle of an active war zone. 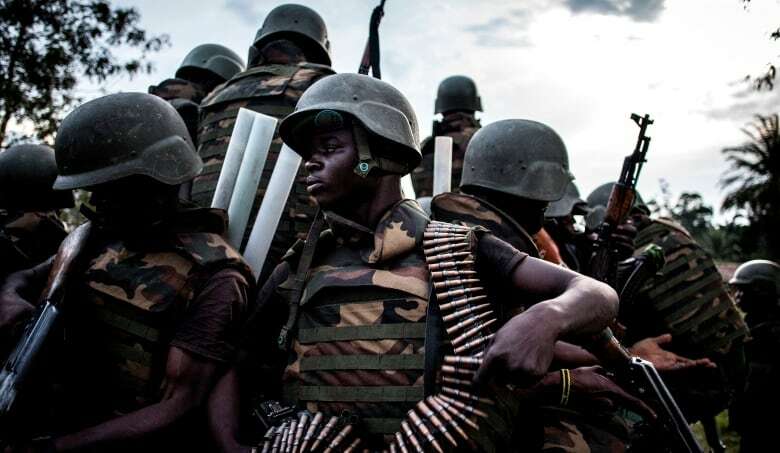 The UN estimates that more 100 armed groups are involved in a protracted conflict with the Congolese Army, and the fierce fighting has seen half-a-million people forced from their homes in 2018 alone. The daily violence has slowed relief efforts and made it difficult, if not impossible, to track and monitor those who have come in contact with Ebola sufferers. The WHO is convinced that there are likely many more cases than it has been able to confirm. The fighting is also complicating efforts to vaccinate both front-line health care workers and members of the public who are known to have come in contact with the disease. Another wild card in this outbreak is the hostility that some locals are showing to aid workers. 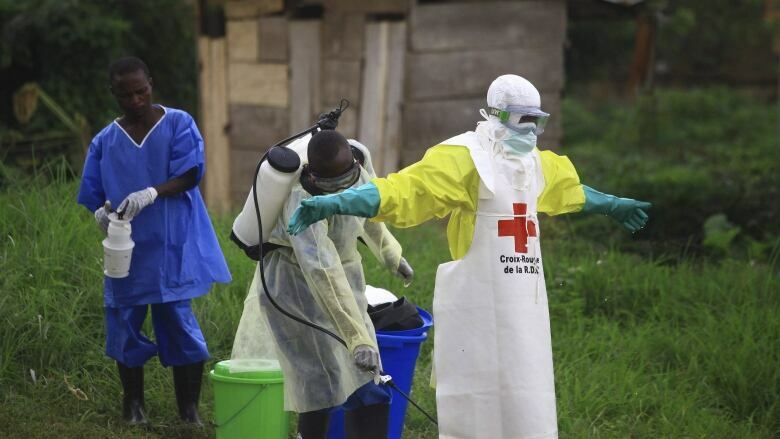 Earlier this month, three volunteer members of a hazmat-suited Red Cross "safe and dignified" burial team were attacked by an angry crowd in the city of Butembo as they tried to dispose of a body. Two of the relief workers were seriously wounded. In September, another Red Cross burial volunteer was injured when her vehicle was showered with stones. The WHO says that such "community refusals" have happened on at least 32 occasions since the beginning of the outbreak, including the seizure of a body by an angry mob earlier this week. All of which poses a significant problem, since Ebola is often spread from the dead to the living. There have also been reports of some patients refusing treatment. At least one person who fled hospital remains at large. The rapidly deteriorating situation has spooked several of the aid agencies that are working in the region. "The current spike in Ebola cases and deaths is extremely worrying," Michelle Gayer, the director of emergency health at the International Rescue Committee, said yesterday. "This is a sign not only that the outbreak is not under control, but that without full engagement from the community, things could get a lot worse … Each time the Ebola response is interrupted, lives are at risk." Cases of Ebola have already been detected in an area school, she noted, opening up a new pathway for the disease. To date, there have been no reports of new Ebola cases in other regions of the DRC, or in neighbouring nations. But the World Health Organization believes that it is only a matter of time until the outbreak spreads. Late last month, the UN agency revised its risk assessment from "high" to "very high." The last major Ebola outbreak, in West Africa in 2014, sickened 28,000 people and killed more than 11,000. On The National tonight, The Pop Panel looks at how the Trump era has changed Taylor Swift and Kanye West. It's hard to imagine a celebrity beef more intense and intensely watched than the one between Taylor Swift and Kanye West. 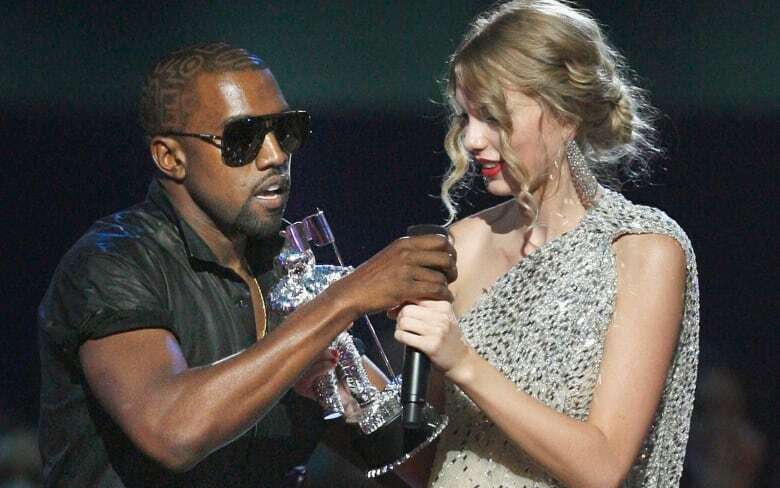 Ever since West interrupted Swift's victory speech at the MTV Video Awards in 2009, the world has watched the two repeatedly square off and seemingly reconcile, with neither coming off particularly well at times. This week, the latest chapter in the saga took things to a new level. Last weekend, Swift broke her traditional silence on politics. She urged her 112 million Instagram followers to vote, and endorsed Democratic candidates in her home state of Tennessee. It's a marked departure for the pop megastar. In 2012, she told Time Magazine that, "I don't talk about politics because it might influence other people. And I don't think that I know enough yet in life to be telling people who to vote for." Her Instagram post this weekend enraged many on the far right who had convinced themselves Swift was one of them. And what of Kanye, her nemesis? To the head-spinning disbelief of his fans who saw him denounce President Bush's handling of the devastation of Hurricane Katrina ("George Bush doesn't care about black people"), West has now gone full MAGA with his embrace of Donald Trump. The rapper met with the President in the oval office yesterday and once again praised Trump, saying the Make America Great Again hat made him feel like "Superman." He's even walked back his 2005 criticism of George W. Bush, blaming it on a "welfare mentality." It's a topsy-turvy world, with politics and pop culture colliding in unprecedented ways. Joining Ian Hanomansing in The National's studio for The Pop Panel tonight are Sportsnet staff writer Donnovan Bennett, Flare magazine's senior editor Ishani Nath, and freelance writer and author Stephen Marche. On Sunday, The National will air a town hall on cannabis. The show will pose pressing questions from Canadians to Bill Blair, the Minister of Border Security and Organized Crime Reduction, president of the Canadian Medical Association Dr. Gigi Osler, and Kirk Tousaw, a lawyer and consultant for Canopy Growth Corp. It's hard to say how many stories The National has done on cannabis in the years leading up to Wednesday's legalization, but with so much on the line it still feels in some ways as though the conversation is just getting started. As a national issue, this one touches many aspects of our society — from health to business, to education to parenting, to law and policing. And from what we've heard from Canadians, there are lots of questions yet to be answered. Take Josie, a 23-year-old from Toronto. 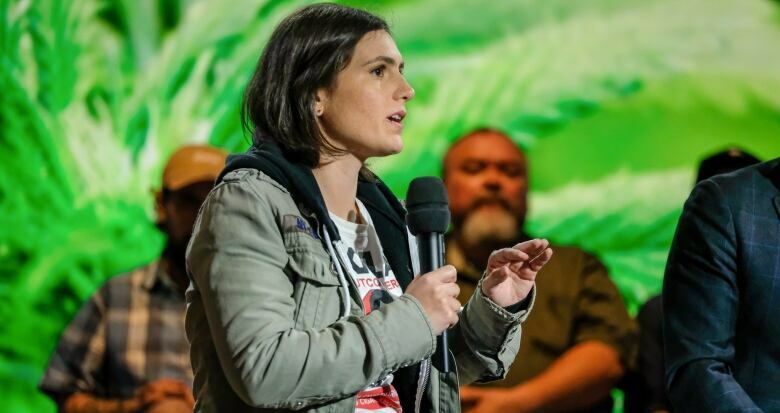 She began smoking pot at age 14, and since then she has struggled with what she describes as "intense" paranoia and hallucinations. She now considers herself a marijuana addict and says she is seeking treatment. When we asked Josie what questions she has about Canada's legislation, she said she doesn't want to "demonize" cannabis use. Instead, she wants to know what the government has planned in terms of promoting responsible use of the drug, and whether they'll back research into its long-term impact on young people. As part of our National Conversation on Cannabis, airing Sunday on The National, Josie and others have put their questions to a panel of experts, including Bill Blair, Minister of Border Security and Organized Crime Reduction. In response to Josie's question, Minister Blair, who is in charge of the federal government's cannabis file, pointed out the need for revenue generated from the taxes on cannabis to be invested in research. So far, he said, "in a criminal, prohibitive environment, research has been very, very challenging." However, he did not say how much funding the government would be considering or if there is any plan in place to follow through with that commitment. Another panelist, Dr. Gigi Osler, head of the Canadian Medical Association, said she was "heartened" by his suggestion that more resources would be put into counselling and addiction services. "I think it's vitally important to have that in place as a promise to Canadians," she said. The fact that cannabis remains such uncharted territory is why it continues to hold people's focus across the country. According to an exclusive CBC News poll looking at attitudes around legalization, 55 per cent of Canadians believe the government is unprepared. At the same time, excitement around this new market is palpable. Our poll shows that 36 per cent of Canadians feel there will be less stigma around cannabis after legalization than before. While the debate over legalization is over — like it or not, cannabis will be legal on Oct. 17 — there remains much to discuss. Tune in Sunday for the National Conversation on Cannabis on CBC Television and streamed online. "Only a few feet of separation prevented this from possibly becoming the worst aviation accident in history. Over 1,000 people were at imminent risk of serious injury or death." - Bruce Landsberg, vice-chairman of the U.S. National Transportation Safety Board, on a July 2017 incident in San Francisco when an Air Canada flight tried to land on a crowded taxiway. The agency's final investigative report, released this morning, says pilot confusion, fatigue, and a shortage of air traffic controllers all contributed to the near miss. This face of the late Canadian comedic actor Billy Van is wearing sunglasses inside the studio for Paul Soles' After Dark chatfest. They talk about Van's appearances on Party Game (look it up kids) and the Sonny & Cher Show, and of course the eight different characters he played on The Hilarious House of Frightenstein. All while Hollywood B+ lister Angie Dickinson tries to figure out what the hell they're talking about.